I woke up at exactly 6am feeling the gentle chills. Good thing I had my socks to comfort my ice freezing feet. I’m really weak when it comes to cold temperatures. I barely had 3 hours of sleep coming from the night tour at Indoor Theme Park of Resorts World Genting. We were scheduled to move out by 11am, so before going to sleep, I convinced everyone to wake up really early so we could have ample time to roam around the outdoors. 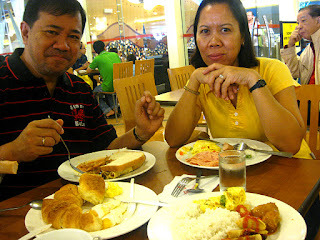 We finished our breakfast at around 10am. 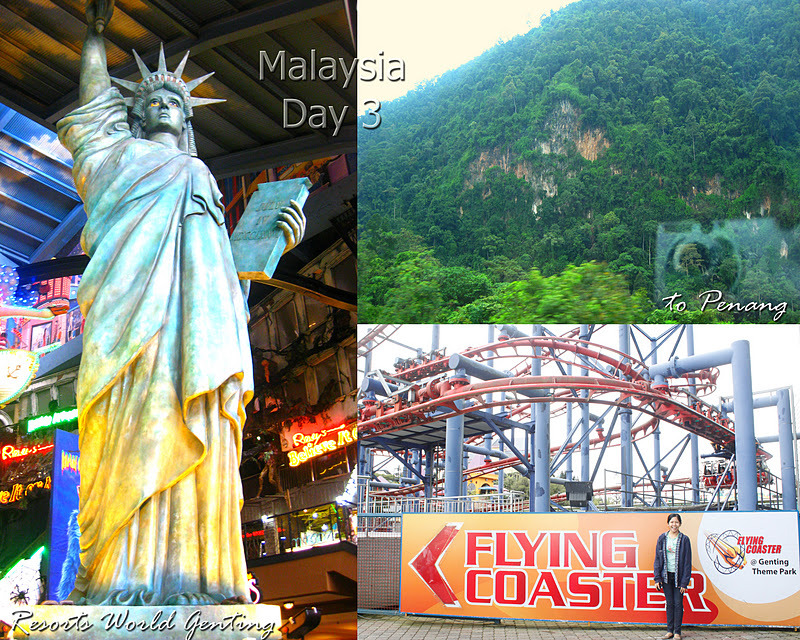 Freakin' too late to fully explore more of Genting‘s must see attractions. What can I do, I can’t force our group to act according to my desired phase, I have to adjust and simply make the most of the remainder time we have. On our way outside we found out we can’t enter the outdoor theme park for we still need to purchase entrance tickets. We didn’t bother since we barely have an hour left. So we just contented ourselves of what we can see from the First World Plaza which was just the roller coaster, the park‘s signature ride. Tita Bevs told us that during their past trips, they could enter freely without the need to purchase any tickets. Oh well, times have changed. On our way back to our room to get our luggage, we saw this performer making Charlie Chaplin moves while doing his stunt in the lobby area near check in counters. A cute little boy from the crowd made the performance more enjoyable to watch. The first two days of our incentive trip felt like we’re traveling around Malaysia for 2 weeks. Day 3 was a breather because we spent most of the day sitting inside the bus for hours driving from Genting Highlands to Penang, making it much longer because of a car accident that caused us an hour's traffic. Staying for a night at Resorts World Genting was fun, it’s such a live happy place I would recommend to everyone going to Malaysia. Too bad, we didn’t have much time to fully enjoy the rides and other attractions, but I guess our cable car experience was enough to make the trip memorable and a good news from home that Pacman won. After passing the zigzag road some Filipinos there fondly call bituka, we stopped for lunch at an open restaurant and there we met a Filipina service crew. They served us this drink na parang am lang (rice water). As weird as it may look, it actually tasted good, like a sago - gulaman drink. 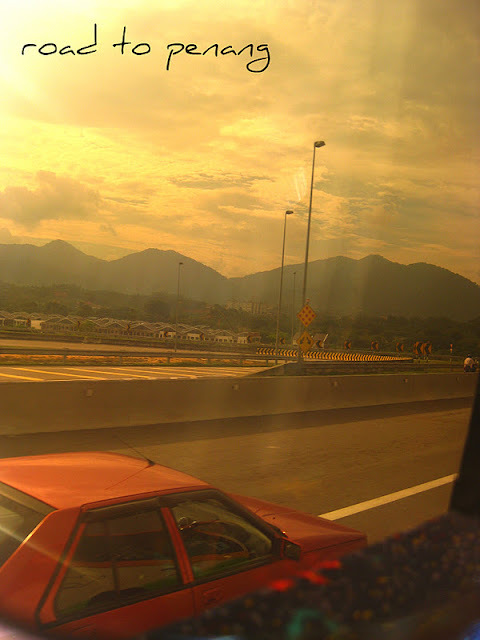 The road to Penang was scenic with mountains, farms and natural limestone cliffs greeting passengers along the way. We also passed by what's considered as one of the world’s longest bridge, the Penang Bridge. Before dinner, we stopped at another food court type area that also has fruit stalls in front. We bought a plastic of peanuts to munch while inside the bus and a large pack of kropek. Many of us agreed that our seafood dinner at Restoran Makanan Laut Cia Xiang in Penang was the most memorable meal we had. 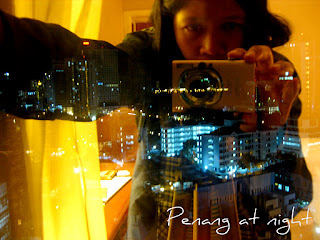 Penang has been known for its delectable seaside dishes. 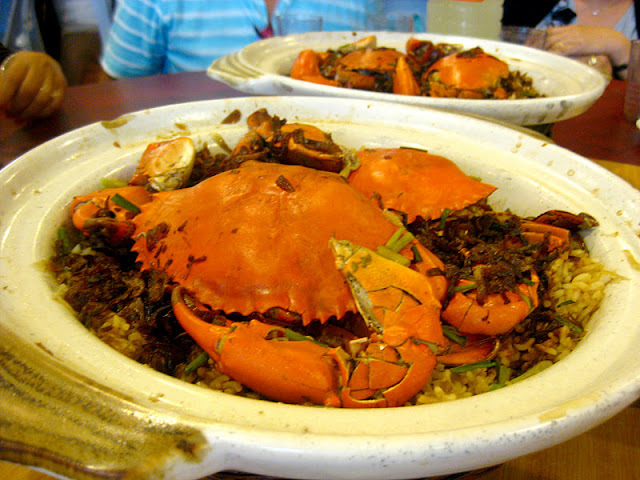 Just take a look at the restaurant's signature dish, the Claypot Crab Rice. We ended the night staying at Hotel Royal Penang. We didn't have much time to get out and explore on our own so we used that free time to get my Walking Tripod to work, transfer loads of pictures and videos I captured to the Macbook and surf the net til it's nearly 3am!